This article was brought to you by Gregory, the maker of water reservoir backpacks. Lightweight, durable, and smartly designed, Gregory packs keep your focus on kayaking the San Juan Islands in front of you, not the gear you’re carrying behind you. Hovering in the small, cold sea between Seattle and Canada is a cluster of islands formed millions of years ago by volcanoes and glaciers. The San Juan Islands are part of Washington state. 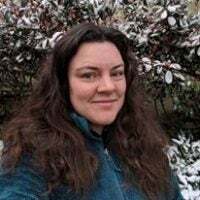 They’re also floating on top of the same tectonic plate that is slowly wedging itself under the western edge of the United States, creating concern in the Pacific Northwest over an inevitable earthquake that threatens to shake the whole region, hard. If you catch the ferry from Anacortes for a little San Juan Islands kayaking, however, you won’t be thinking about ancient geology or earthquakes. Instead, it’s more likely you’ll find yourself enchanted with the second-growth firs, abundant wildlife, and a quirky, outdoorsy culture. The San Juans are a world in and of themselves, rife with bald eagles, resident orca pods, harbor seals, and quaint small towns that feel like you’ve stepped into a picture book. Exploring the San Juan Islands via kayak will give you access to quiet beaches, water-side campgrounds, whale watching, and so much more. Photo from The Dyrt camper Kaila R.
There are a few ways to get to the San Jauns from Washington State. You can, of course, set out from any Seattle waterway if you have or charter a big enough boat. You can sail out of Lake Union through the Ballard Locks or from pretty much anywhere on the Puget Sound up into the Salish Sea. If you don’t have big boat access, you can take the San Juan Clipper from Seattle and arrive in about three and a half hours. A third option is to charter a plane, which is a surprisingly affordable way to travel if you’re in a group of three. Kenmore Air, for example, departs conveniently from Boeing Field (aka King County International Airport) and swiftly deposits you on San Juan Island, just a short walk from the harbor. The flight over Whidby and Bainbridge Islands is thrilling, as is passing by the Space Needle and Seattle skyline far closer and lower than you can in a big commercial aircraft. The only catch is that you need to be traveling light with 20 pounds or less. The Washington State Ferry is the best and most reliable option for anyone traveling with a significant amount of outdoor gear, or with a whole kayak in tow. 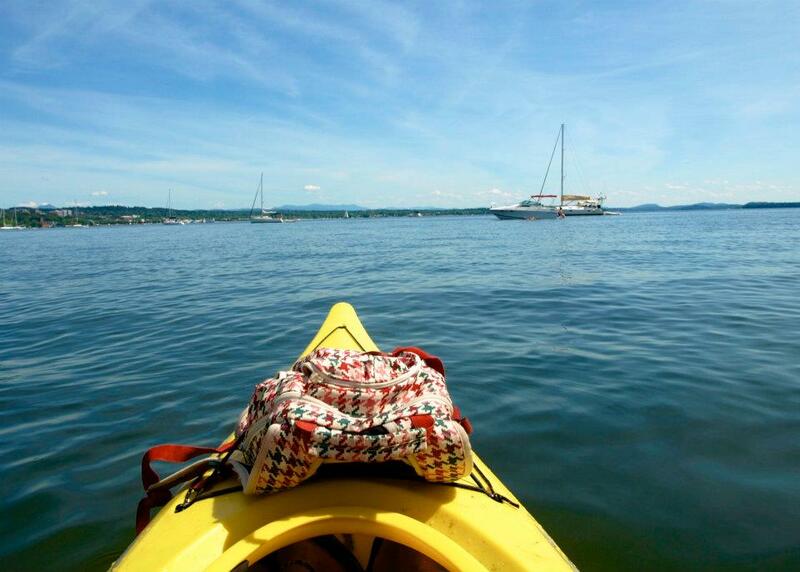 (And we highly recommend bringing your kayak.) The ferries depart from Anacortes to the San Juans, with the option of disembarking at any of the four main islands, including Lopez, Orcas, Shaw or San Juan. 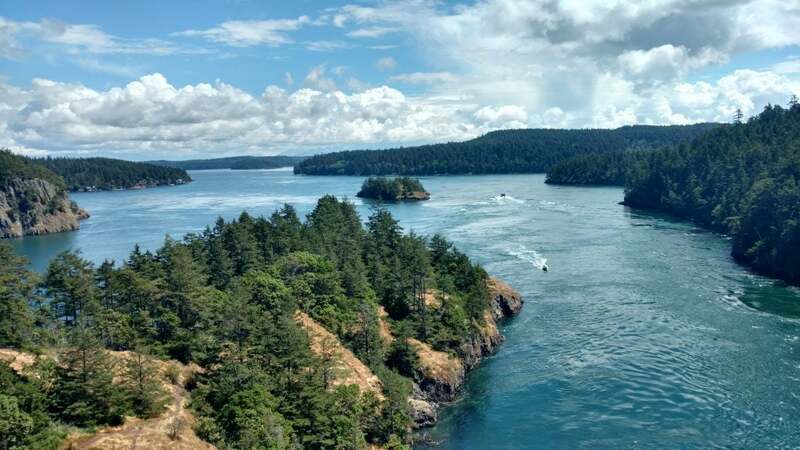 If you’re biking or kayaking the San Juan Islands, you’re welcome to bring your kayak or bike on board, and you’ll get to enjoy the view as the ferry churns its way to the San Juans. Some kayakers choose to start with a round-trip ferry reservation to and from San Juan or Orcas Island. But the website encourages those without a reservation to come, too. A tiered availability system keeps a number of spots on every ferry available to day-of visitors. The interisland ferry is free to walk-on passengers, and reservations are not available (or needed). There are so many different options for kayaking the San Juan Islands—it can be hard to decide where to begin. 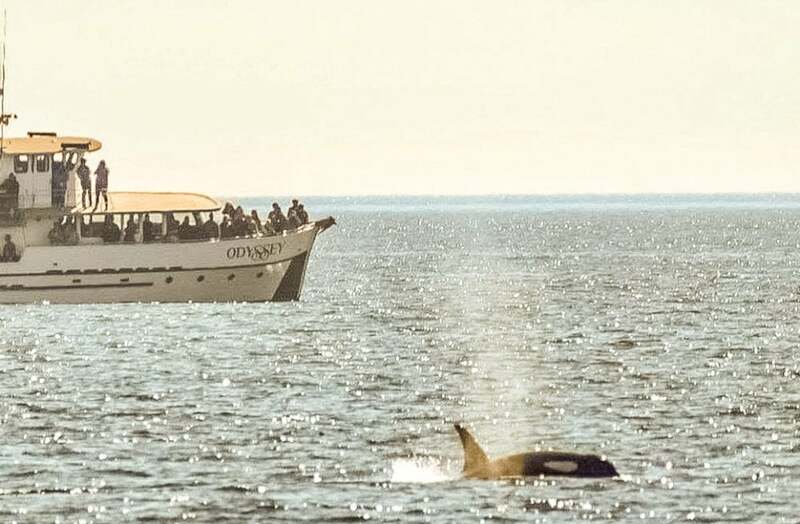 Each of the islands and towns has a slightly different vibe, from friendly Friday Harbor to the wildlife sanctuary of Lopez Island to outdoorsy Orca Island. Where you paddle to depends also on what you’re hoping to see. 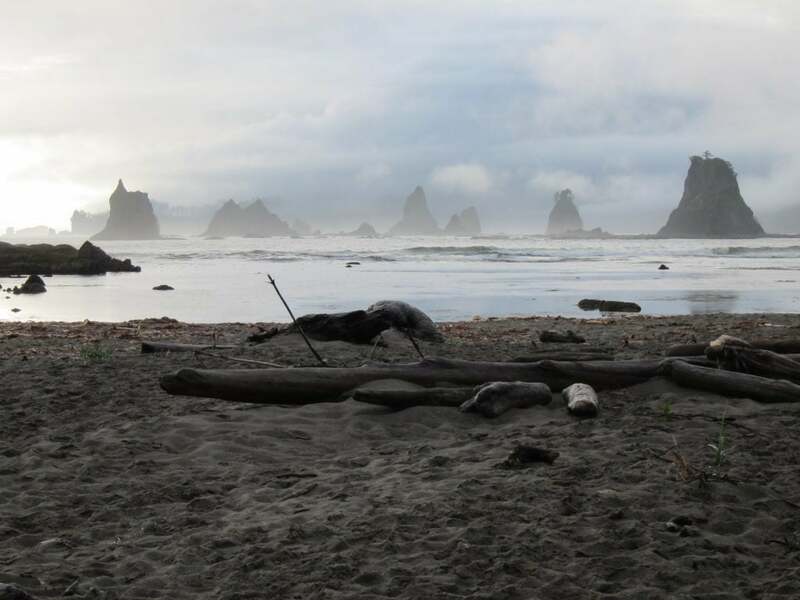 The locals can offer helpful tips on where the resident whale pods have been seen when they’re in season, or you can try to scope out where the whale watching tour boats are pointing their bows. 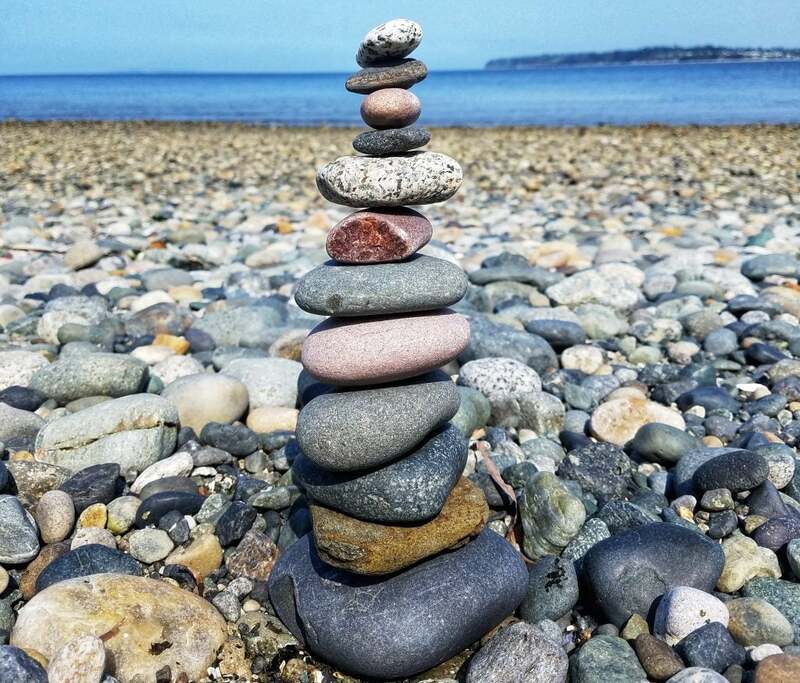 If you’re looking for a mix of outdoor fun and island adventure, you might want to pick a campground near arty Roche Harbor, where there’s a sculpture park. Or if you are aiming to relax, Doe Bay Resort is hard to beat for its proximity to hot springs. 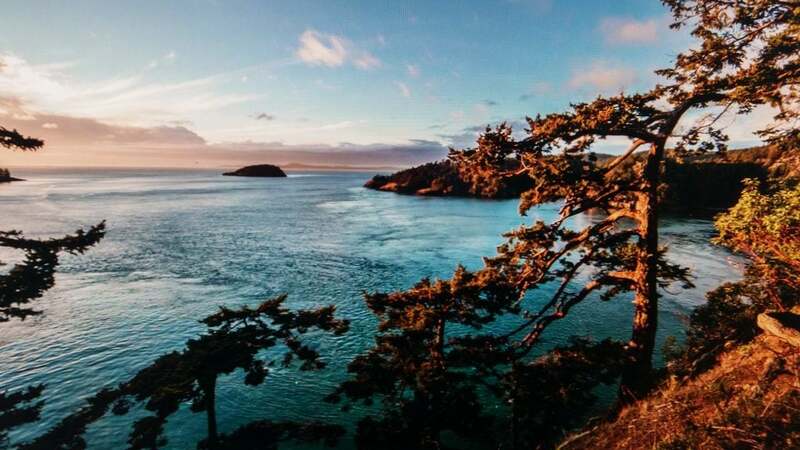 San Juan Island is a natural place to begin your introduction to the archipelago. In many ways, Friday Harbor serves as a front door to the San Juans. One of the Washington Ferry terminals drops passengers off there, the marina rents boat slips for a few days or longer, and the airfield is just up the hill from the harbor. Grab breakfast at The Salty Fox, a charming locally-owned coffee shop in an old house with fresh healthy fare, quality beans, as well as bottles of wine and quirky souvenirs. If you’re craving a seafood dinner with a view, it’s hard to beat Downrigger’s, which is right off the harbor. On Saturdays, the Friday Harbor Farmers Market has a huge array of produce, pre-prepared food, and crafts, including trendy bites like momo ghar, a kind of savory dumpling from Nepal. 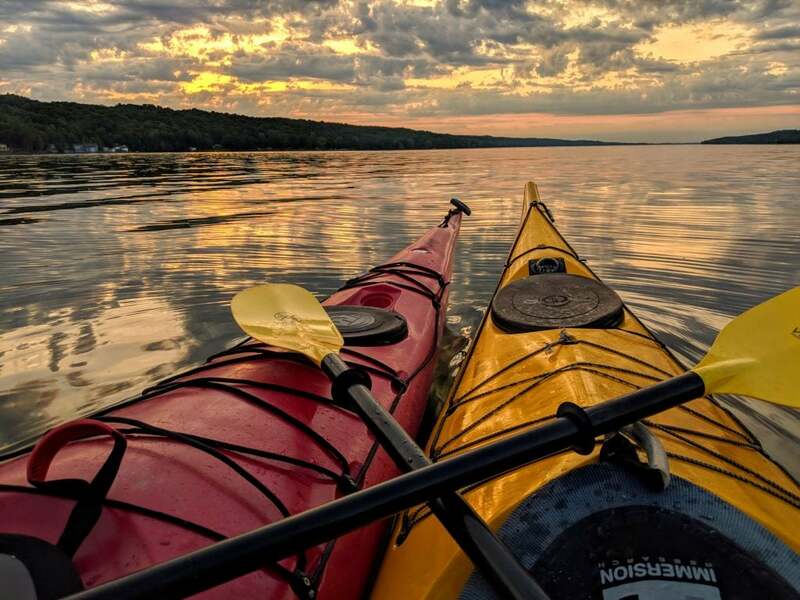 Begin your San Juan Island kayaking journey by paddling southeast to the area between San Juan and Lopez Islands to escape the heavier boat traffic and attempt a glimpse of the San Juans’ famous orcas. You can camp on the small spit just off the shore of San Juan, a spot called Turn Island State Park. You can watch the boats come and go from the harbor and a trail leads around the perimeter of the island, too. This island is just east of San Juan Island and about 3.5 miles from Friday Harbor. It offers two beaches for camping. The north beach has at least 4 mooring buoys for sailing or motor vessels, in addition to nice beach sites. The west beach is better for sea kayak landing or small boat haul up, with about 12 or so sites. “No water or power is available at this island, however the composting toilets are kept clean, and the island is extremely cute. Be forewarned the raccoon situation is serious, they know how to get into your food. 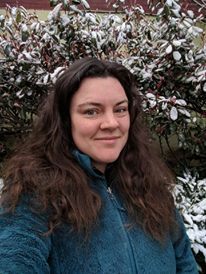 All food should be in hard sided containers, or boat hatches.” –The Dyrt camper Shari G.
On the other side of San Juan Island you’ll find a totally different vibe at Roche Harbor. This spot was once used to manufacture lime, and there are many historic buildings left over from the days when this was a company town. In fact, you can pick up all the supplies you need for your San Juan Islands kayaking trip at the Company Store, a cute village market right on the harbor that stocks all your basic groceries, beer, wine, and a few other odds and ends. You can also grab a slice just up from the Company Store at the Lime Kiln Cafe. During the summer months, Roche Harbor Resort puts on something called The Color Ceremony every night around sunset. The American, British, and Canadian flags are lowered to the tune of each country’s national anthem before the resort staff pitch themselves off the pier into the water, and a cannon is fired. That’s not the only history you can experience here. A short walk from the harbor will lead you to the island’s meandering sculpture park, as well as its historic mausoleums and the small cabins that were once housing for married lime workers. When you’ve finished exploring Roche Harbor, you can paddle down through the crooked waters known as Yacht Haven to San Juan County Park. Dyrt Campers who have checked out this spot love it for the frequent whale sightings, as well as the appearance of seals, foxes, and deer. The sites are fairly small, but the sunsets are brilliant and there is a small grocery store if you forget any necessities. If you want to stretch your legs after so much paddling, there are good hiking trails that will take you deeper into the middle of San Juan Island. Just watch out for the raccoons, and bring a bear canister to keep them out of your snacks. Photo from The Dyrt camper Andrew T.
If you’re looking for more of a secluded outdoor experience, paddle away from the busier towns and leave San Juan Island behind. Jones Island is just far enough of a paddle from its neighbors that you’ll feel like you’re really doing the island thing. Best of all, the entirety of Jones Island is a Marine State Park, with 188 acres of wildlife, primitive camping, trails, and shoreline. You’ll be sharing Jones Island with a herd of black-tail deer who have little fear of humans, and your pick of 24 campsites that are first-come, first-served, as well as six composting toilets. “The island has three access points. The southern cove has buoys, anchorage, and an easy beach to land on. There are reservable three sided shelters along an open field and campsites scattered about. My favorite sites on the south side are out on the western point. There are two Cascade Marine Trail sites on the western side of the island for man and wind powered beachable watercraft only. If I’m kayaking or canoeing to Jones these are my favorites. The beach is rockier and at lower tides be aware of rocks. The northern cove has more buoys and a dock. I usually opt for the campsites above the beach on the eastern side if I’m arriving at Jones from the north.” –The Dyrt camper Kelsey M.
Photo from The Dyrt camper Ana T.
The ferry does reach here, and there is a store on the island if you’re in need of supplies. That said, there are no markets, restaurants or shops, so there’s not too much civilization to interrupt your wilderness as you explore by kayak and on the island’s lovely bike trails. If it’s any testament to the remoteness of Shaw Island, some of the primary residents include Our Lady of the Rock Benedictine monastery, an order of farming nuns. Photo from The Dyrt camper Jessica M.
Another stop on the Cascadia Marine Trail, Blind Island is a true backcountry experience. 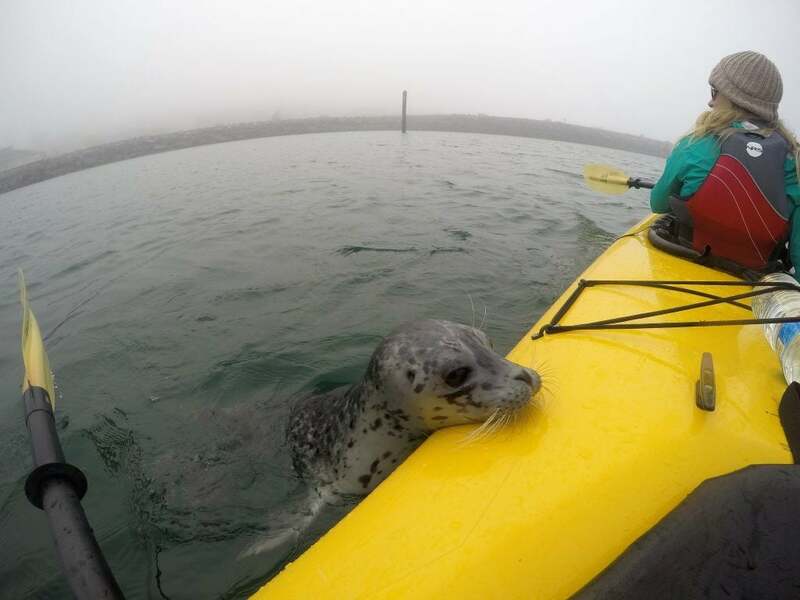 For this portion of your San Juan Island kayaking trip, you’ll need to pack in your own water, as no fresh water is accessible once you arrive. You’ll also want to keep your food contained as the raccoons are known to be persistent. 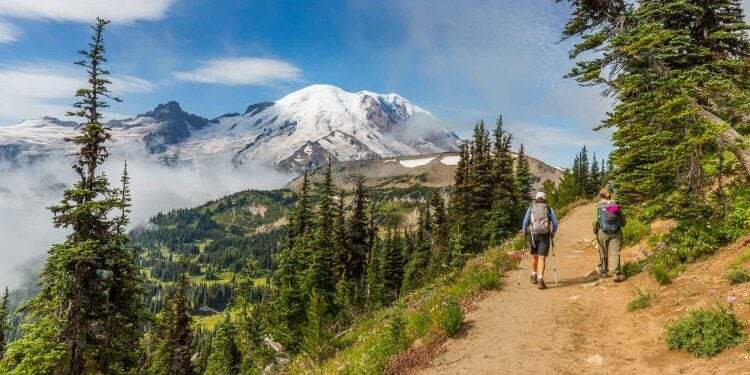 If you can nab one of the two campsites on the tippy top of the island, though, you’ll be rewarded with views not only of Shaw Island and Orcas Island, but also Mount Baker. “It’s possible to anchor in Blind Bay but there are few places to beach a dingy, especially at low tide. I usually come to Bling via kayak or canoe. There’s a small landing spot on the western side of the island that can be very rocky and almost inaccessible during extremely low tides. You can see both the Orcas and Shaw ferry landings from Blind Island and there’s plenty of boat traffic to keep you entertained. Blind also makes a great lunch/rest spot when paddling around the islands.” –The Dyrt camper Kelsey M.
Photo from The Dyrt camper Beth E.
If you’re looking for quirk, you’ve come to the right place. You’ll find Scandinavian influence, wineries, and alpacas on Lopez Island. Cyclists can enjoy the Tour de Lopez event every spring, and the miles of shoreline present lots of fun little beaches for kayakers to explore. If you want to learn more about the island’s history, you can visit the Port Stanley Schoolhouse and Lopez Island Memorial Library during your stay. 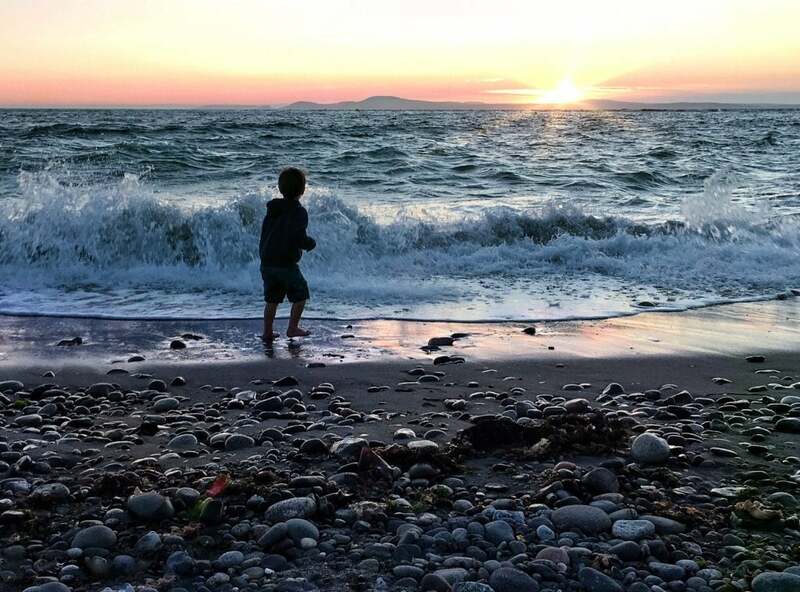 There are two different camping options on Lopez Island, including the Odlin County Park, which has many more amenities than the primitive campgrounds you’ll find on some of the other islands. Here you’ll have access to water, pit-toilets, recycling, and trash collection, and showers nearby at Lopez Village. “This quaint little county park is right off from the ferry landing. There are plenty of beach sites, a few are “walk-in” – which just means that you can’t park your car there. There are lots of forested sites which offer more privacy than the beach. The views of Shaw Island and the passage between are beautiful. Great swimming, paddling, and crabbing can be had here. Reservations are available 90 days prior. We got lucky with a mid-week September arrival and got site #11, one of the best beach sites in the camp for 2 nights.” –The Dyrt camper Shari G.
Spencer Spit State Park is another choice that’s very popular with those in the know. It’s not a boat-in campsite and you will have to hike up from the shore. That said, they offer rentals for kayaking the San Juan Islands, so if you are traveling without your own craft this might be a good home base. 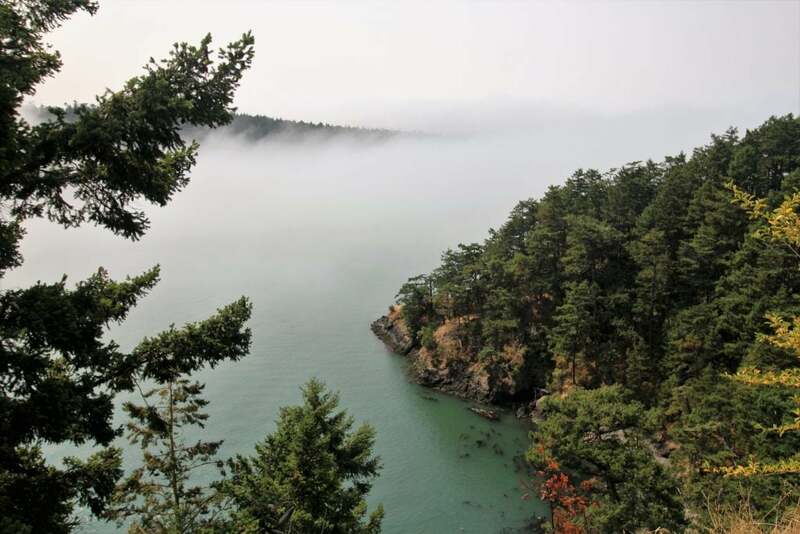 “Lopez island is a slow paced beauty, and this park is a great place to camp while you explore all there is to see! Spencer Spit State Park campground is a heavily forested area on a lagoon enclosed sand spit. There are a few walk-in spaces to camp on the spit itself as well. We visited the park midweek in early June and had the entire campground to ourselves. The beach area is about a 10 minute walk from the campground. The beach is littered with beautiful driftwood and shells and even clams! 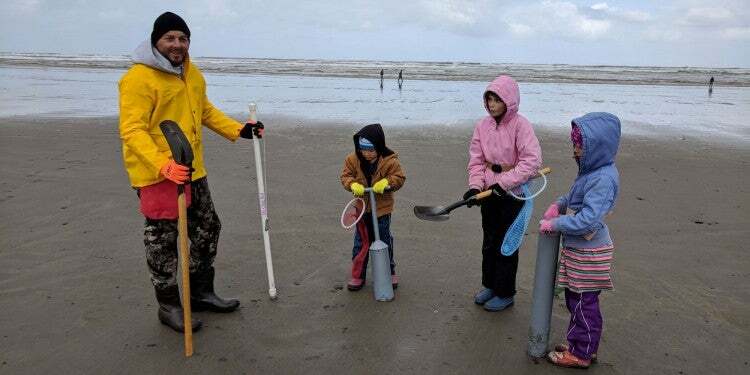 There are picnic tables down on the spit, so pack a lunch and spend the day down at the beach, or come down in the evening for star watching and s’mores.” –The Dyrt camper Valerie W.
One of the reasons kayaking the San Juan Islands is such a bucket-list worthy goal is because there are so many little marine parks to explore as you paddle around. James Island is yet another option for kayak campers who love peace and quiet— it’s accessible only by the water. 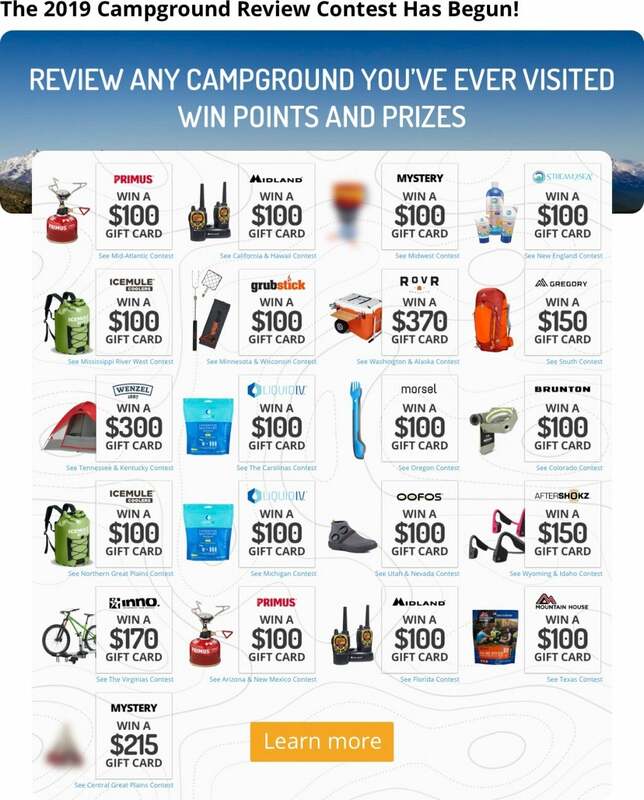 There are 13 primitive campsites, three of which are reserved for human- or wind-powered watercraft, no motors allowed. If you hike a mile and a half up into the bluffs, you’ll be met with spectacular views of the Rosario Strait. “The views on either side are outstanding. Beautiful views of Blake Island on one side and Mt. Baker framed on the other. There are hiking trails, beautiful bluffs to view sunrise and sunset. The area isn’t super level, so it’s the perfect spot to hammock camp.” –The Dyrt camper Joel T.
From your first glimpse, you’ll understand why Orcas is considered to be one of the crown jewels of the San Juan Islands. It’s one of the largest, too, at 57 square miles, 5,252-acres of which are taken up by Moran State Park, which is strung with 38 miles of hiking trails. If you enjoyed the sculpture park at Roche Harbor, you’ll love the Orcas Island Artworks, an artists’ co-op made up of 50 artists local to the island. History buffs will appreciate the Orcas Island Historical Museums, where you can see the cabins that housed some of the earliest white settlers to come to Orcas. One of the best treats on Orcas Island is the Rosario Resort. It’s hard to believe when you first come up to the harbor that this used to be a private residence. Inside are beautiful old photographs of the island, its maritime history, and the family who once lived there. Upstairs, you can see period furniture and get a sense of what daily life would have been like in the early 20th century. Visitors will find beautiful examples of stained glass work and the gleaming Aeolian organ, a 1,972 pipe instrument that takes up a whole central hall. Grab a drink while you’re here and play a game of croquet overlooking the harbor. 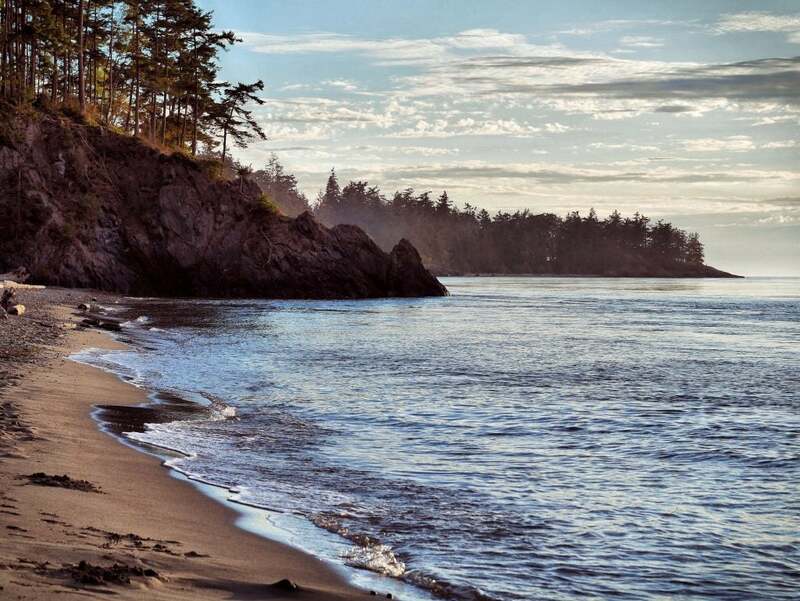 You can easily camp inland at a few different sites in Moran State Park, but if you’ve come for kayaking the San Juan Islands, you’ll probably prefer the more coastal camping options on Orcas, like Obstruction Pass State Park and Doe Bay Resort and Retreat. Obstruction Pass State Park is a 76-acre primitive campground on the south end of Orcas Island, bordering one mile of public shoreline. You’ll need to pack in your own water, however, as this is something of a “Rhyme of the Ancient Mariner” situation, with all that salt water in front of you and not a drop of fresh to drink. However, there are fire pits, picnic tables, and composting toilets. “Obstruction Pass is a decent campground in the very crowded San Juan Islands. They just built a new self-composting toilet that is amazing. The sites are large enough for good-sized kayak groups. The raccoons were minimal, which says a lot of this area. 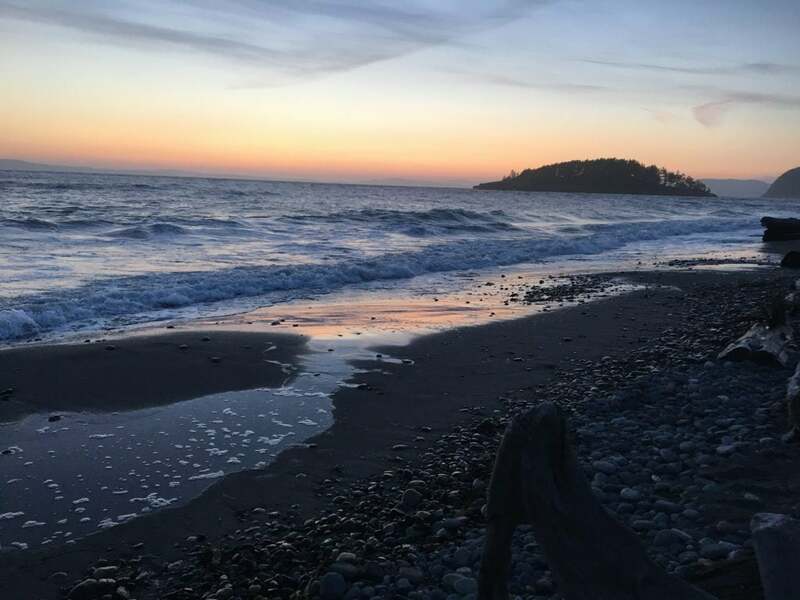 The sunsets were magical and the campground has 2 beach access points.” –The Dyrt camper Joel T.
Head to Doe Bay Resort and Retreat for a less rustic experience, complete with tent and hammock camping sites, cabins, and yurts. There’s a spot called Meditation Point where you can go for a little inner peace, as well as massages, yoga, and live music. For a workout, head up Mt. Constitution before relaxing in the sauna or hot tub. If you’ve ever been to Breitenbush in Oregon, you’re on to the vibe at Doe Bay. Photo from The Dyrt camper Elliott B.
Doe Island Marine State Park, unlike Obstruction, is boat-in only. Once you paddle across the Salish Sea, you’ll have a splendid view of Orca Island, not to mention the Sucia islands, too. Hundreds of years ago, this was a gathering place for the Central Coast Salish tribes, who accessed the island by canoe. 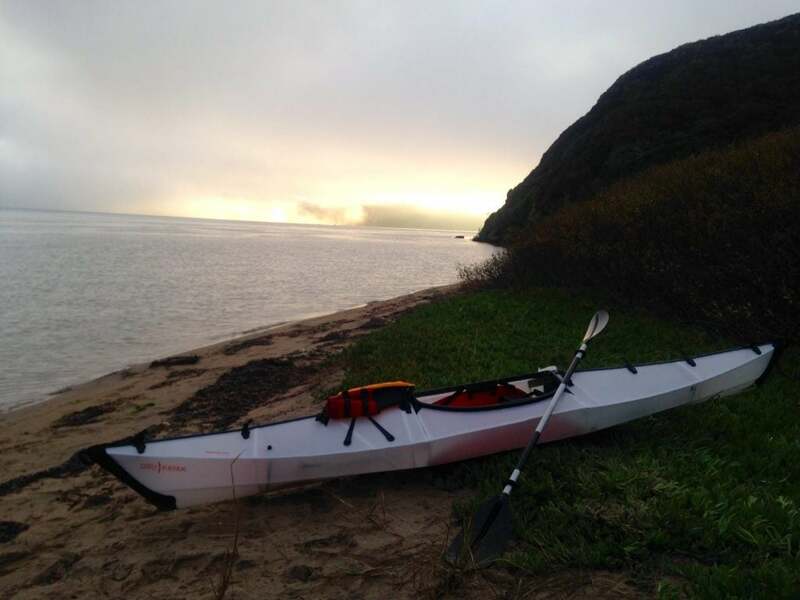 Now modern kayakers can reach this lovely island the same way. When I think of the perfect camping island while kayaking the San Juan Islands, few could come close to Doe. This tiny island just off the southeast side of Orcas Island is simply spectacular. With no dock and hardly any beach, it makes landings a challenge, but oh, so worth it. The best and only approach is on the east side. The views of the Rosario Strait, Lummi, Cypress and Blakely Islands, even Mount Baker on a clear day, are stunning. “The current will be moving through this area at almost all phases of the tide so make sure you know what’s up with the water. There are only about 4 camping sites on the island, one well-maintained composting toilet, but no fresh water. 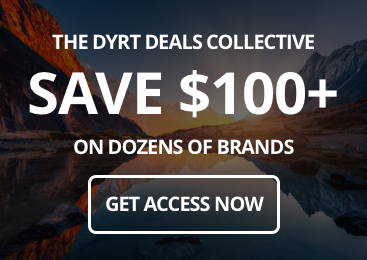 However, Doe Bay resort is a quick ten-minute paddle away and offers the luxuries of food, hot tubs, sauna, showers, and a calendar of events including music festivals, in a down to earth, hippie-vibe way. So check out their information so that you can plan accordingly, to either go or stay away from the resort as you wish.” –The Dyrt camper Shari G.
Photo from The Dyrt camper Melinda C.
For experienced paddlers, Patos Island is a must-see when kayaking the San Juan Islands. It’s one of the most remote in the archipelago, and is the farthest you can go in the northwest before you leave the U.S. The views you take in from Patos are of the Canadian mountains to one side and the Cascades and Olympics to the other, not to mention the splendid 19th-century lighthouse. 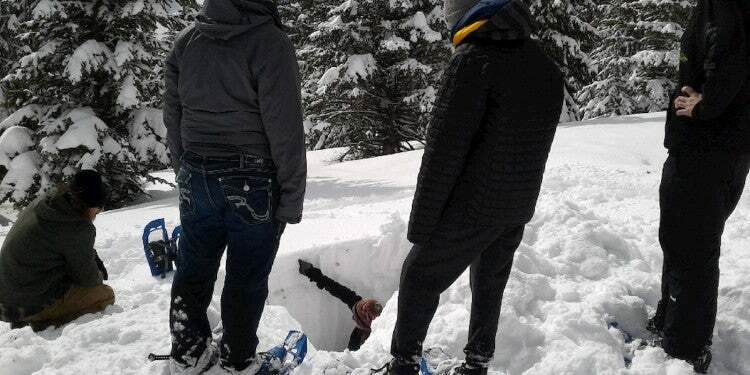 Like some of the other smaller islands in the San Juans, you’ll want to pack in your own water. Gregory makes nice hydropacks in larger sizes, meaning you can easily carry in three liters in your pack in addition to containers stashed elsewhere in your kayak. Once you’re settled in you’ll be in the midst of beautiful BLM land, surrounded by wildflowers and the peaceful setting of the San Jauns. “My Favorite of the San Juan Islands! Patos Island is incredible. A little bit hard to get to, the cove on Patos boasts strong currents that require you to anchor with care if not using one of the few mooring buoys. Some of the campsites are rather exposed while others are well tucked into the woods. The walk to the Patos Lighthouse is easy, short, and a must-do. My favorite is going to the lighthouse for sunset. If you’re lucky enough to be there when the lighthouse is open for tours you’ll get a quick glimpse into the history of the islands.” –The Dyrt camper Kelsey M.
Despite being relatively small (in the grand scheme of things), Sucia Island is the biggest of the three outer San Juan Islands and provides many different options for visitors. I often bring small groups of kids to Sucia when I lead trips. Fox Cove and Shallow Bay are my favorites. Fox Cove is on the southwest side of the island and one of the smallest coves that has mooring and camping sites. Shallow Bay is the second largest cove on Sucia, there are group camping sites, many nice beaches and lots of campsite options. The northern beach of Shallow Bay is sandy, warm water and home to the China Caves. The Caves are fun to climb around in and have a fun history of being a hiding spot for smugglers. 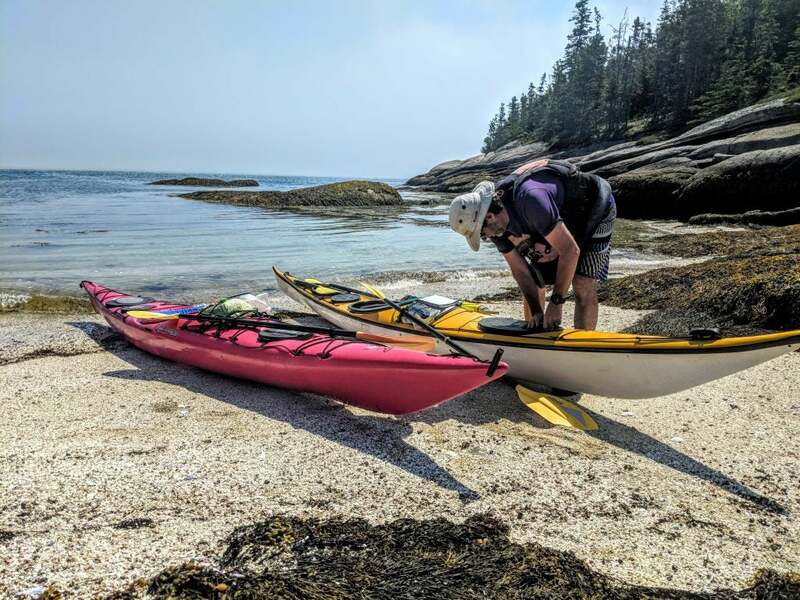 There are only several hundred feet between Shallow Bay and Echo Bay which means you can easily carry kayaks across rather than paddle around the island. “Sucia also boasts fun fossils in and around Fossil Bay. There are lots of fun hiking trails and roads around the island as well as interpretive signs. The Finger Islands in Echo Bay are fun to paddle around. Also, the absolute best phosphorescence I have ever seen in my life were in Echo Bay.” –The Dyrt camper Kelsey M.
Photo from The Dyrt camper Shari G.
Near Sucia and Patos is Matia, the third of the outer San Juan Islands and the ultimate secluded getaway. Like some of the other kayak camping possibilities in the San Juans, the camping on Matia is quite primitive, with the added restriction that you can never have an open fire, at any time of year. Gas stoves, of course, are allowed for cooking. 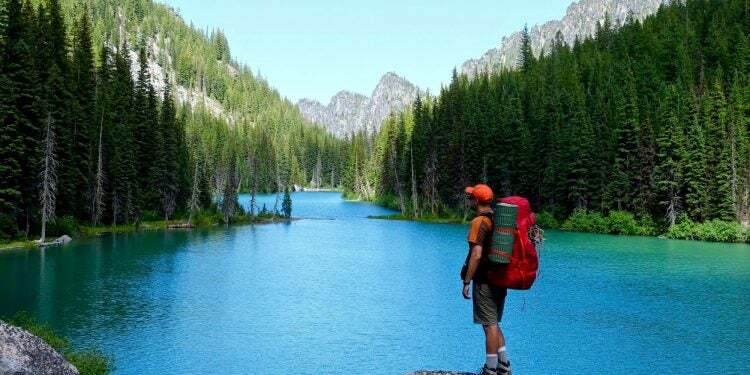 You’ll need to practice pack-in-pack-out principles of Leave No Trace and bring water. While kayaking the San Juan Islands, I love camping on Matia Island. Of the three outer San Juan islands, Matia is generally the least crowded. The island itself is a wildlife refuge and not owned by the state parks so it is almost entirely untouched. There’s a single mile-long hiking trail through an old growth forest that, unlike other islands, wasn’t destroyed by the settler loggers. “There are two composting toilets for the four campsites, two of which are very large. 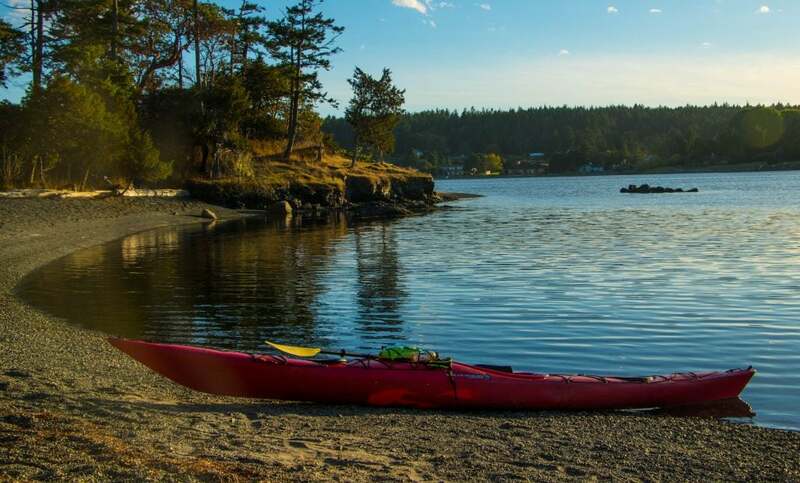 Rolf Cove has two mooring buoys as well as a dock that’s incredibly fun to jump off of and a comfortably slopped rock beach.” –The Dyrt camper Kelsey M.
Anyone who has spent enough time kayaking the San Juan Islands knows Clark Island is ideal for paddling. There are strong currents on the west side of the island, but if you have the skill and stamina to muscle through, or manage the wakes put off by the container ships in the Rosario Strait, you’ll make it to some prime year-round camping. You can grab supplies at Blakely Island Marina before heading over to the Strait of Georgia and Clark Island. 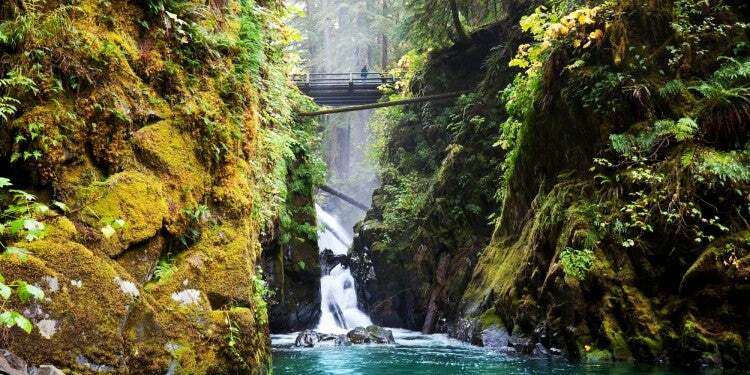 “This is yet another Washington Sate Park in their Marine Island system. Clark Island offers a nice, large rocky beach that makes it easy to beach your boats and set up camp. Like all the parks in the system, this well-maintained area includes picnic tables, vault/pit toilets and plenty of room to pitch your home for the evening. If you’re looking for a spot to extend a tour around the San Juan Islands, this is another great option.” –The Dyrt camper Sarah C.